We are very pleased to welcome our first summer intern to the Frances Perkins Center. Her name is Sichu and she’ll be a senior at Mount Holyoke College next fall. Sichu is an international student and hails from Katmandu. She’s a sociology major at Mount Holyoke, and plans to go to law school after graduation. Yesterday, we took a tour of scenic places near the Frances Perkins Center. 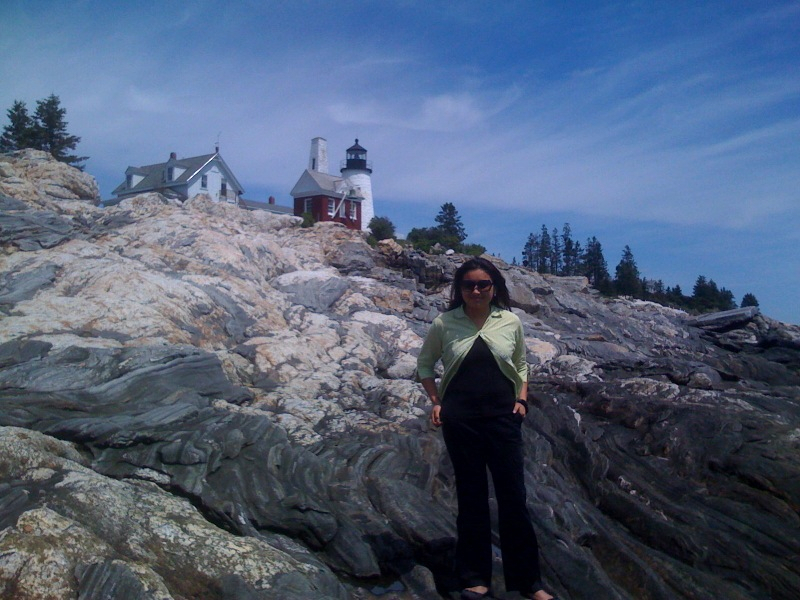 Here's Sichu on the rocks in front of the Pemaquid Lighthouse. Sichu will spend the summer cataloguing papers and memorabilia at the Center and helping with office tasks.